Walkersville and Frederick have many opportunities for people to serve the community. See what God can do with you! Mission: We are a Christ-centered ministry providing residential recovery programs to the homeless or chemically addicted, food to the hungry, clothing and furniture to the needy, and connection within our community through relationships. Mission:To teach adults in Frederick County the reading and other English language skills they need to provide for their families and contribute to the well-being and prosperity of our community. Mission: FMH is the only hospital in Frederick County. Mission: Habitat for Humanity International is a non-profit, ecumenical Christian housing ministry that invites people of all backgrounds, races and religions to build houses together in partnership with families in need. Habitat seeks to eliminate poverty housing and homelessness from the world, and to make decent shelter a matter of conscience and action. Habitat’s vision is a world where everyone has a decent place to live. At Frederick Habitat, one way we impact affordable housing is our home ownership program. We partner with families who cannot qualify for a conventional mortgage and have no other way to own a home on their own. Mission: Heartly House is the only organization in Frederick County, Maryland, that provides comprehensive services to survivors of domestic violence, sexual assault, and child abuse. We have been providing these services since 1979. Services include: a 24-hour hotline, emergency shelter, individual and group counseling, victim advocate services and legal representation, medical advocacy, abuse intervention groups, and community outreach and professional education. Mission: With a passion for cars and helping those in need, Second Chances Garage– a 501(c)(3) nonprofit– seeks to make a difference in our community of Frederick County, Maryland, by offering “second chances” for individuals and families on their journey to independent living by providing assistance with their personal transportation needs. We are soliciting donations of vehicles from the local community, refurbishing them, and placing them with individuals who are gainfully employed and referred to us by Partner Agencies. 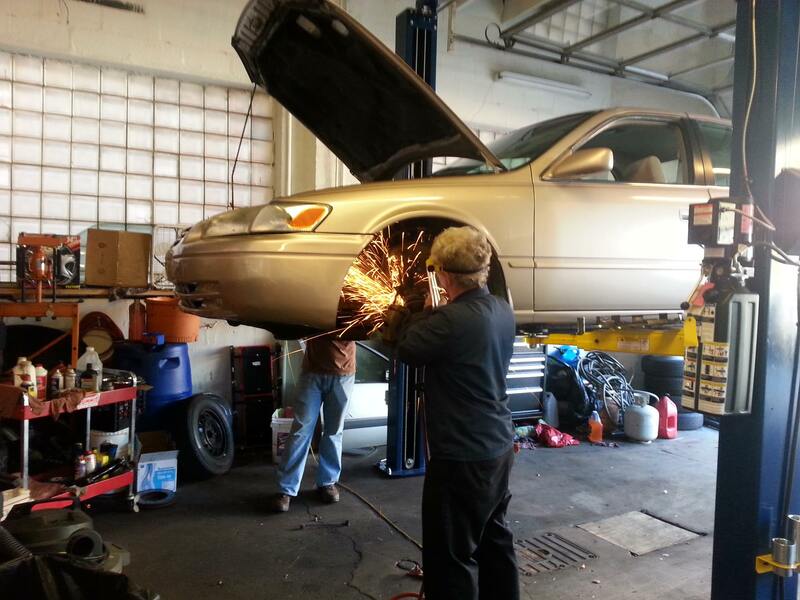 In addition, we offer a Reduced-Cost Auto Repair Service to qualifying individuals. Mission: The Frederick County community came together in late 2013, determined to lend a hand and provide relief and support to the hundreds of Frederick County Public School (FCPS) students who are encountering homeless. We chose to take the initiative – do what’s right, take care of urgent needs, and do it now. Working in tandem with FCPS and a number of Frederick County human service agencies, we are strictly focused on providing for these children in need. Mission: We are the recognized leader in Maryland for programs and services that support the independence of older adults using the time and talents of our members, leadership, and staff. Mission: Way Station, Inc. is a not-for-profit organization dedicated to providing compassionate and quality behavioral health care, housing, and employment services to: adults with mental illness, developmental disabilities, and substance addictions; children and adolescents with emotional and behavioral challenges; and veterans with service needs. Way Station embraces the principles of recovery and resiliency and is committed to providing evidence-based, consumer-driven, and family-focused services. for all. At the YMCA of Frederick County strengthening community through youth development, healthy living and social responsibility is our cause. Every day, we work side-by-side with community members to address the most pressing needs in Frederick County to make sure that everyone—regardless of age, income or background—has the opportunity to learn, grow and thrive. Our work is not easy, but real and lasting changes can only come about when we work together to invest in our kids, our health and our neighbors and the first step to achieving these improvements is having the full support of our community. Mission: YFC reaches young people everywhere, working together with the local church and other likeminded partners to raise up lifelong followers of Jesus who lead by their godliness in lifestyle, devotion to the Word of God and prayer, passion for sharing the love of Christ and commitment to social involvement. Mission: The Religious Coalition for Emergency Human Needs is an organization comprised of people of faith committed to making our faith real through acts of compassion that manifest God’s caring presence. We coordinate donations of time, talent, money, food and other resources to meet the urgent needs of people of Frederick County. The Coalition works toward a more just and compassionate society. Founded in 1981, the Religious Coalition for Emergency Human Needs has been providing those most at risk in our community with emergency shelter for homeless adults and families, healthcare assistance to the uninsured, utility assistance, homeless prevention programs and food assistance through local food banks.